The early history of this family is unusually obscure, partly because they seem to have supplied misleading information to the editors of Burke's Landed Gentry. According to the descent given there, John Bardwell (1743-1826), with whom the genealogy below begins, was himself of West Harling Hall (Norfolk) and succeeded his father, another John, who was also seated there. This seems to be a complete fiction. 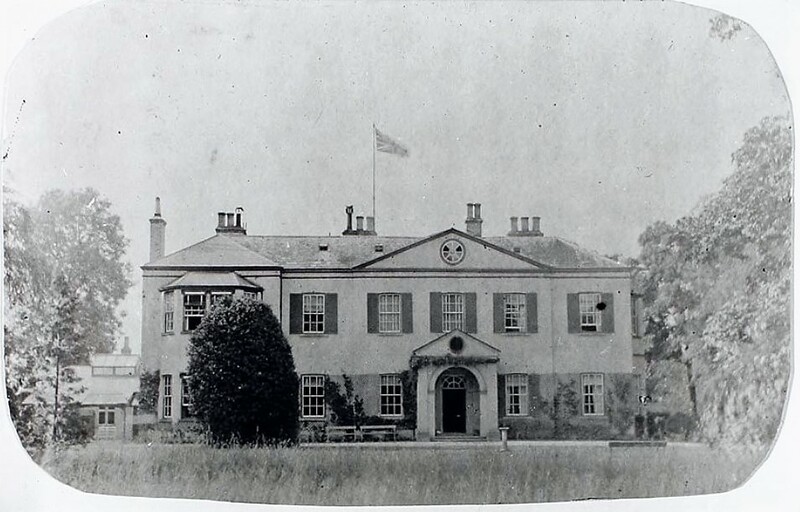 Although an estate at West Harling had belonged to the Bardwell or Berdewell family in the medieval period, the family had long since ceased to hold any property there before the 18th century, and West Harling Hall - which was rebuilt after 1725 - was in other hands. John Bardwell seems, in fact, to have lived in London and to have started his career as a dealer in china, who also acted as a common carrier specialising in the transport of delicate goods. By 1785 he had moved to Sheffield, where he set up as an auctioneer. He was succeeded in this business by his son, Thomas Newman Bardwell (c.1787-1862), who in due course was joined in partnership by his sons, Thomas Newman Bardwell (1815-60) and Frederick Bardwell (1818/9-90). The business was evidently successful, and in 1845 the elder Thomas retired from the concern. 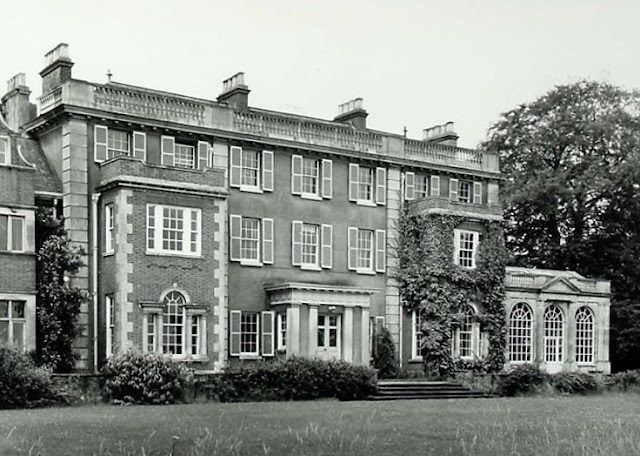 At the end of his life, in 1858, he bought Bolton Hall near Fangfoss (Yorks ER). His intention may have been to hand this on to his elder son, but Thomas junior died in 1860. Frederick Bardwell, whose interests had become focused more on the cutlery trade, then had to take up the reins of the auctioneering business too, and when he inherited Bolton Hall in 1862 he let it out, perhaps because he felt the need to live nearer to Sheffield. His only son, Thomas Newman Frederick Bardwell (1850-1931) was however educated as a gentleman, and although he retained his father's interests in the cutlery trade, he lived a gentry lifestyle at Bolton. Most of the land was sold after the First World War, but the house was retained until his death, after which his son, Maj. Thomas Garnett Newman Bardwell (1883-1957) quickly sold it, perhaps to make financial provision for his younger siblings. Major Bardwell, who was a career soldier and racehorse owner, never married and lived subsequently in a villa at Royston (Herts), which he named 'The Boltons', presumably in reference to the name of his father's house rather than the exclusive residential district of London of that name. Bolton Hall, near Fangfoss: the house after rambling additions of c.1882. Image: Historic England. A well-proportioned two-storey five bay hipped-roofed house of rendered brick, built c.1760 for John Nicoll. The central three bays are stepped slightly forward under a three-bay pediment containing an oculus. When it was offered for sale in 1802 the house was said to consist of 'a Drawing Room and a Dining Room, each about 24 feet by 18, and proportionably high, two small rooms, a large Kitchen, back kitchen, pantry etc.' on the ground floor and 'seven bedrooms with closets etc.' on the upper floor, while a leasing advertisement of 1828 noted that it had recently undergone a thorough repair. The house had apparently already have been enlarged by 1836 when an advertisement referred to an entrance hall and library as well as a drawing room 33 feet by 21 and a dining room 30 feet by 21, and it was further enlarged and altered by T.N.F. Bardwell in about 1882. However, most of the 19th century additions were removed in 1969-73 when the house was restored by Ferrey & Mennim for Col. Worsley. Bolton Hall: the house after reduction by Ferrey & Mennim in 1969-73. Descent: John Nicoll... sold 1802...John Preston (fl. 1814-28)... Cook Cooper Taylor (d. 1835); to son, Isaac Taylor; sold 1858? to Thomas Newman Bardwell (c.1790-1862); to son, Frederick Bardwell (1818-90), who gave it to his son, Thomas Newman Frederick Bardwell (1850-1931); to son, Thomas Garnett Newman Bardwell (1883-1957), who sold c.1931?... Col. George Oliver Worsley (1927-2010); sold c.1987... Julian Richer (b. 1959). (4) Thomas Newman Bardwell (c.1787-1862) (q.v.). He died in Sheffield, 21 August 1826. His wife's date of death is unknown. (1) Thomas Newman Bardwell (1815-60), born 2 June and baptised at Sheffield, 29 June 1815; auctioneer in Sheffield in partnership with his father and brother until 1845; also stockbroker, in partnership with his brother and John Fawcett until 1845; died without issue, at Scarborough (Yorks), 1 May 1860; administration of his goods granted to his father, 13 August 1860 (effects under £100). (2) Frederick Bardwell (1818/9-90) (q.v.). He bought Bolton Hall near Fangfoss (Yorks) in 1858. He died 18 June, and was buried at Ecclesall (Yorks WR), 23 June 1862; his will was proved 9 July 1862 (effects under £4,000). His widow died in Scarborough, 2 September 1865; administration of her goods was granted 25 October 1879 (effects under £50). (1.1) Thomas Newman Frederick Bardwell (1850-1931) (q.v.). 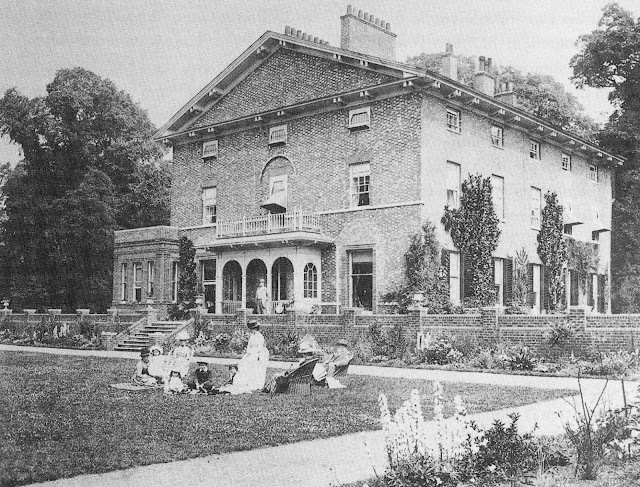 He lived at Lynton (Devon) and Scarborough (Yorks) in the 1850s; he inherited Bolton Hall from his father in 1862 but let it from 1864 and lived at Woodleigh (Notts) and latterly at Park Villa, Worksop (Notts). He owned an estate at Wincobank, Sheffield, which he seems to have developed for housing. He died 3 May 1890; his will was proved 4 June 1890 (estate £48,709). His first wife died in 1850. His widow was buried at Ecclesall (Yorks WR), 5 June 1893. *The entry for his baptism in the parish register gives the date as 1818; the plate on his coffin said 1819 (as reported in the local press). (7) Capt. William Scott Bardwell (1892-1968), born 18 April 1892; educated at Cheam School, Royal Naval Colleges, Osborne and Dartmouth; an officer in the Royal Navy, 1909-46 (2nd Lt., 1912; Lt., 1913; Cmdr., 1924; Capt., 1940); served in Second World War; awarded DSO and bar, 1942, 1944; appointed MVO, 1929; married, 18 October 1921, Ellen Louise, daughter of Dr. C. Manville Pratt of Towanda, Pennsylvania (USA) and had issue one son and one daughter; died 24 October 1968. He inherited Bolton Hall from his father in 1890. He died at Folkestone (Kent), 28 March 1931, and was buried at Bishop Wilton (Yorks ER), 31 March 1931; his will was proved June 1931 (estate £56,626). His wife died 20 November 1899. Bardwell, Maj. Thomas Garnett Newman (1883-1957). Eldest son of Thomas Newman Frederick Bardwell (1850-1931) and his wife Lucy Sophia, eldest daughter of Rev. William Bishton Garnett-Botfield of Decker Hill and Bishop's Castle, born 30 December 1883. Educated at Eton, Jesus College, Cambridge and the Inner Temple (admitted 1913). 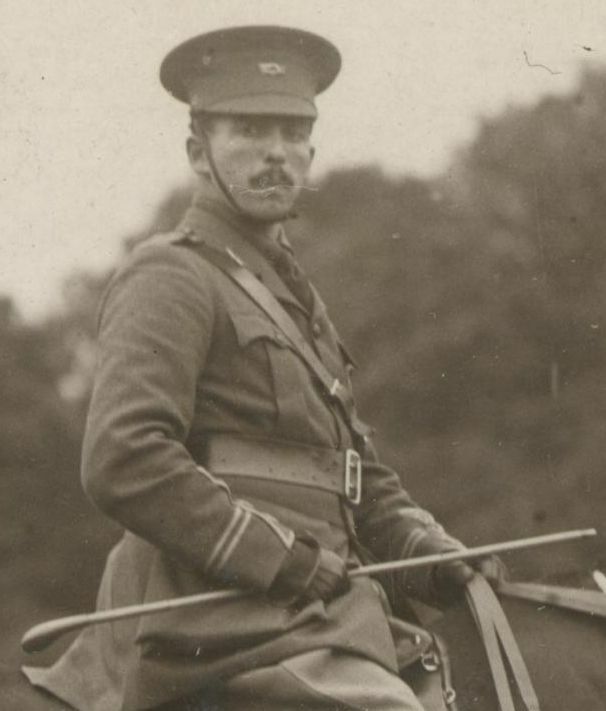 An officer in the East Yorkshire Yeomanry (2nd Lt., 1903; Lt., 1912; Capt., 1914; Maj.) and the Camel Corps; seconded to Egyptian Army and served in the Sudan as a district commissioner and DASC, Khartoum, 1920-21. Racehorse owner. He served in the Second World War with the War Office, 1939-41 and Intelligence Corps (Maj.), 1941-46. Appointed MBE, 1946. He was a keen cricketer and Master of Foxhounds. He was unmarried and had no issue. He inherited Bolton Hall from his father in 1931 but sold it soon afterwards. He lived latterly at The Boltons, Royston (Herts). He died 25 April 1957; his will was proved 3 June 1957 (estate £30,538). Burke's Landed Gentry, 1952, p. 109. No significant accumulation is known to survive. Can anyone supply more information about the ownership history of Bolton Hall after its sale by the Bardwells in 1931? I should be most grateful if anyone can provide photographs or portraits of people whose names appear in bold above, and who are not already illustrated. As always, any additions or corrections to the account given above will be gratefully received and incorporated. This post was first published 14 April 2019. The Barclays have been established in Scotland from a very early date, though their origins are disputed: a summary of the conflicting views can be found on Wikipedia. 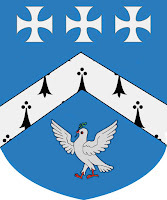 One Alexander de Berkeley was granted the estate of Mathers on the Kincardineshire coast in 1351, and his descendants continued to hold that estate down to the time of David Barclay (1580-1660), with whom the genealogy below begins. Having acted as surety for his father-in-law, David Barclay was plunged into debt and was obliged to sell more and more of his patrimony between 1611 and 1632. His third son, David Barclay (1610-86) became a soldier of fortune on the Continent, fighting for Protestant causes in the Swedish and later Prussian armies in the Thirty Years War. He seems to have demonstrated considerable military prowess and was well rewarded by his employers, so that when he was recalled by his family in 1638 because of the increasingly troubled situation in Scotland, he may have harboured the hope of recovering possession of Mathers. The property had, however, been much divided by his father's dispersal and subsequent re-sales, and the troubled years of the Civil War meant that he was occupied with military affairs at home. 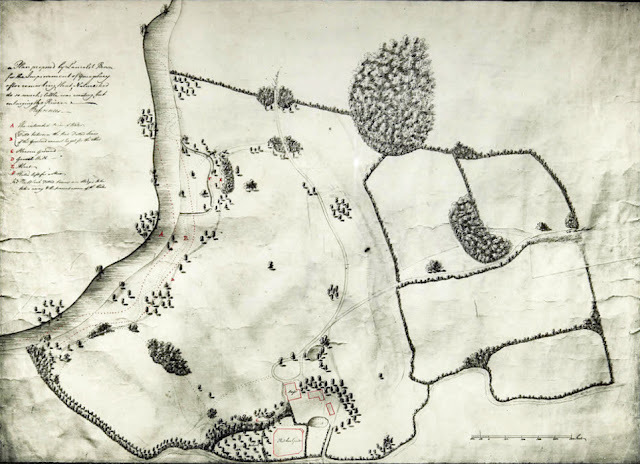 In 1647-48, however, he seized the opportunity to buy the Ury (or Urie) estate not far from his ancestral home, where the original fortified house had been burnt by Royalist troops in 1645. Here he was eventually successful in putting down new roots, building a new house in 1670 and apparently improving it a few years later. In the 1660s, David Barclay and his son, Robert Barclay (1648-90) embraced Quaker beliefs, and Robert emerged in the 1670s as one of the leaders of the Society of Friends and one of its most active and effective literary advocates. Although both he and his father experienced periods of imprisonment for their faith, Robert managed to secure the effective intercession of a number of powerful people on their behalf. He seems to have had the knack of making friends even with those who did not share his religious views, and his unlikely friendship with James, Duke of York (later James II) no doubt helped to shape the Duke's views on religious toleration. Robert died aged just forty-two, and was succeded at Ury by his eldest son, Robert Barclay (1672-1747), while his second son, David Barclay (1682-1769) went to London to seek his fortune in about 1698, and founded the great banking and brewing families which I have written about in my previous posts. The Quaker faith was now an established part of the family's identity and both Robert and David adhered to it, without achieving the national profile and reputation of their father. It remained the faith of their descendants well into the 19th century and in some cases into the 20th century. In later life, Robert (1672-1747), who stayed in Scotland and lived quietly at Ury, became increasingly interested in the history of his own family, and wrote a book on the subject which was published in 1740. At his death he was succeeded by his eldest son, Robert Barclay (1699-1760), who was noted more for his size and physical strength than for anything else. Although he was brought up to assist in the management of the Ury estate, however, he was not much interested in agriculture, and his son, yet another Robert Barclay (1732-97) inherited a badly run-down property. Fortunately, this Robert, was an energetic and enlightened agricultural improver, and quickly turned the situation round. Through his second marriage in 1776 he acquired control (at least until they divorced in 1793) of his wife's family Allardice Castle estate and he added her surname to his in recognition of this. He was also able to contemplate additions to Ury House, although these were never carried out, perhaps because his marriage broke down. When he died in 1797 the estate passed to his son, Robert Barclay-Allardice (1779-1854), who preferred to live at a rented property in England, and Ury was sold after his death to Alexander Baird, who demolished the Barclays' house and built a new one. This house was written up in 2018 in my post on the Baird family, who purchased Ury from the Barclays after death of Capt. Robert Barclay-Allardice in 1854. (2.2) Anne Barclay; married 1st, John Douglas of Tilliwhilly, and had issue one daughter; married 2nd, Robert Irvine of Drum; and married 3rd, 1649, Rev. David Strachan, afterwards Bishop of Brechin. He inherited the Mathers estate in Kincardineshire and his family's ancient lands in the Mearns from his grandfather in 1607 but sold it all between 1611 and 1632. He died in Edinburgh in 1660, and was buried in Canongate kirkyard, Edinburgh. His first wife's date of death is unknown. His second wife's date of death is unknown. (5) Jean Barclay; married, 1685, as his 3rd wife, Sir Ewan Cameron (c.1629-1719), kt., of Lochiel, and had issue. He purchased the lands and barony of Ury (Kincardineshire) in 1647-48 (where the old tower had been burned by Royalist troops in 1645). Although the old castle may have been repaired in the 1650s sufficiently for him to occupy it, he did not build a new house until 1670. As soon as it was finished, he handed it over to his eldest son, although he seems to have lived there too, and in 1679 employed James Smith to 'cover with freestone the house of Urie'. He died on or about 10 October, and was buried in the Quaker burial ground he established at Ury, 12 October 1686. His wife died in March 1663. He was given the Ury House estate by his father in c.1672, and in 1679 King Charles II erected the lands of Ury into a free Barony. He died at Ury, 3 October, and was buried in the Quaker burial ground there, 6 October 1690. His widow died in March 1723. (8) Jean Barclay (1719-20), born 23 April 1719; died in infancy, 12 June 1720. He inherited the Ury estate from his father in 1690, and enlarged the property by repurchasing lands known as Finlayson and Redcloak which had formerly been part of the estate. He also laid out 'very fine gardens' around the house before 1722. He died 27 March 1747. His wife's date of death is unknown. (1) Jean Barclay (1726-50), born 22 March 1726; died unmarried, July 1750. He inherited the Ury estate from his father in 1747. He died 10 October 1760 and was buried in the Quaker burial ground at Ury. His widow died in March 1762 and was also buried at Ury. (2.8) Maj. David Stuart Barclay-Allardice (1787-1826), born 3 and baptised 29 March 1787; an officer in 42nd Highlanders and later the 28th Foot (Lt., 1811; Capt., 1813; Maj. 1822); died unmarried at Otranto (Italy), 1826. He inherited the Ury estate from his father in 1760. Soon afterwards, he bought the property of Arduthie and laid out the new town of Stonehaven on this estate. In 1789 he obtained plans from James Playfair for enlarging Ury House but nothing was done. He died 8 April 1797. His first wife died 23 March and was buried at Winchmore Hill, 29 March 1757. His second wife married 2nd, 1795, John Nudd (c.1764-1828), and was buried at Sprowston (Norfk), 12 July 1833. Burke's Landed Gentry - The Kingdom in Scotland, 2001, pp. 55-59; H.F. Barclay, A history of the Barclay family, vol. 3: the Barclays in Scotland and England from 1610-1933, 1934; ODNB entry for Robert Barclay (1648-90). 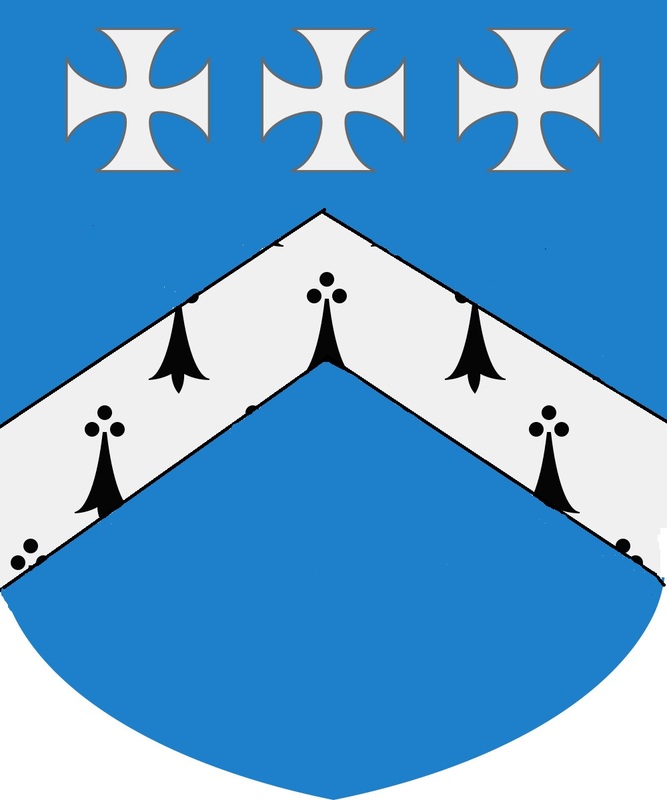 Azure, a chevron ermine, in chief three crosses patée argent. Is anyone able to provide fuller or more detailed genealogical information about David Barclay (1580-1660) and his children? This post was first published 6 April 2019. David Barclay (1682-1769), the second son of Robert Barclay (1648-90) of Urie House in Scotland, the Quaker apologist [for whom see my next post], moved to London at the age of sixteen and bound himself apprentice to James Taylor, a linen draper and member of the Grocers' company. In due course he married Taylor's daughter and established a successful business importing linen goods from Germany, Ireland and Scotland and re-exporting them to the American colonies. In 1723, after his first wife died, he married Priscilla, the daughter of John Freame (1665-1745), a Quaker London goldsmith and banker, and ten years later his eldest son, James Barclay (1708-66), married her younger sister, Sarah. As a result of this double alliance, James entered his father-in-law's banking business, and was the first to bring the name of Barclay into the banking world. David's second surviving son, Alexander Barclay (1711-71) entered his father's business and went to Philadelphia to manage the American end of the concern. The story of Alexander's descendants (the brewing Barclays) is told in my previous post. This post concerns the other children of David Barclay and their descendants (the banking Barclays). David Barclay had seven children by his first marriage and ten by his second, and although all those who lived to maturity seem to have led interesting and successful lives, the most significant of them was probably the younger surviving son of his second marriage, David Barclay (1729-1809). He seems to have been associated with both his father's linen merchant house and with the Freame & Barclay bank, but when he became concerned that Britain's worsening relationship with her American colonies would damage the linen business, he at first he attempted to mediate between Benjamin Franklin and the British government to find a compromise acceptable to both sides, and when this failed, managed the firm's gradual withdrawal from the export trade. The firm ceased trading altogether in 1783, but by then he had taken up a partnership with the bank. He inherited a plantation in Jamaica and its slave population, and in line with his Quaker principles he freed the slaves, paid for them to be taught a trade or handicraft skills, and resettled them on his property in Pennsylvania. He was also one of the close family members who put up the capital to enable his nephew Robert Barclay (1751-1830) to buy the Anchor brewery and establish his highly successful business there. 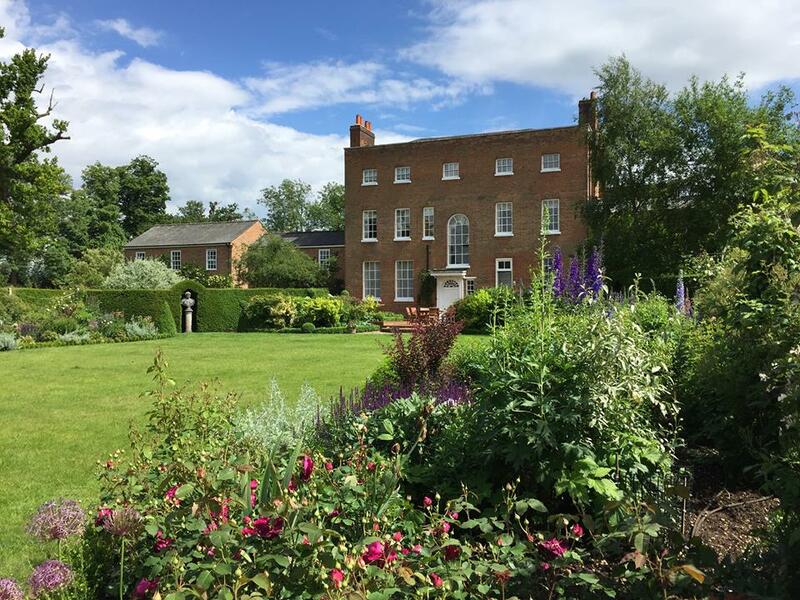 In 1768 he became the first member of the family to own a country house (Youngsbury (Herts)), although it was just a small villa in an unfinished landscaped garden when he acquired it, and he enlarged it considerably and improved the setting. In 1793 he began to feel his age and sold it again, downsizing to live in villas at Edmonton (Middx) and Walthamstow (Essex). David Barclay (1729-1809) left a good deal of his property to his grandson, Hudson Gurney (1775-1864), whose paternal family were also Quakers with banking and brewing interests, and became closely interconnected with the Barclays over succeeding generations. He was succeeded as a partner in the family bank, however, by his nephew, Robert Barclay (1758-1816) - the son of his brother John (1728-87) - who was a leading figure in the Society of Friends. He lived in a substantial five-bay house at Clapham (Surrey) - now a hospice at 30 Clapham Common North Side - and was friendly with many of the leading figures in the Clapham Sect whose reformist social and political views he generally shared, even if his religious views were different. He was also one of several members of the family to have had a keen interest in astronomy, and he had an observatory built within the grounds of his house at Clapham. He was succeeded at Clapham and also as senior partner in the bank by his eldest son, Robert Barclay (1787-1853), who in 1814 married Elizabeth Gurney. As part of their marriage settlement he acquired the Higham estate near Bury St. Edmunds (Suffk), which he esteemed particularly for its game shooting. This estate, which is still valued for its shooting, remains in the family today and is now centred on Desnage Lodge, a former farmhouse. 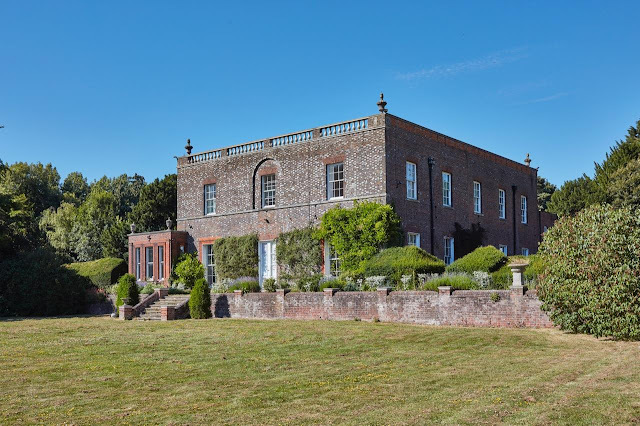 Rather remarkably for an estate that has been in the same family for more than two hundred years, no country house has apparently ever been built on this property, although Desnage Lodge is now quite a substantial house. 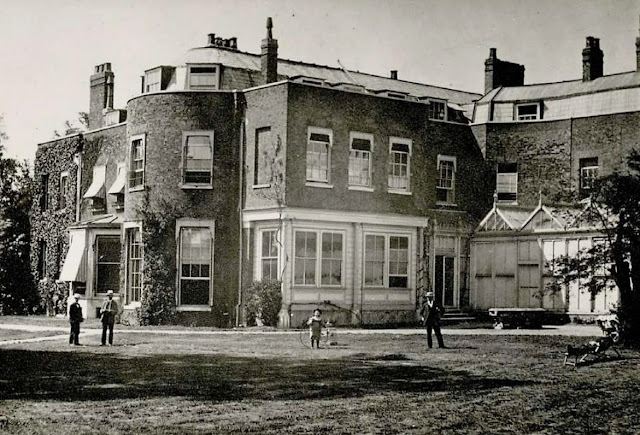 In about 1820, Robert Barclay moved from Clapham to Knotts Green House at Leyton (Essex), a larger villa standing in its own grounds in what was then a village well beyond the suburban spread of London. This passed, together with his role as senior partner in the family bank and the Higham estate, to his only surviving son, Joseph Gurney Barclay (1816-98). Like his predecessors, Joseph was a lifelong Quaker, and he remained senior partner of the bank until it became a limited company in 1896. In some ways, Joseph is the central figure in this story, for he was by a considerable distance the wealthiest of the Barclays (leaving £900,000 at his death, excluding real estate), and it was he who sought to establish his sons as landed proprietors on a more considerable scale than any members of the family had achieved since David Barclay sold Youngsbury in 1793. For himself, he bought the Brent Pelham Hall estate in 1865 and a holiday house at Cromer in Norfolk called The Warren. In 1871 he probably assisted his eldest son, Robert Barclay (1843-1921), to buy High Leigh at Hoddesdon (Herts), and he may also have helped his second son, William Leatham Barclay, to buy The Briars at Reigate. by E.J. May for Joseph Gurney Barclay. In 1886 he built a new holiday house at Cromer which he called Herne's Close (now Sutherland House) and made over The Warren to his youngest son, Lt-Col. Francis Hubert Barclay (1869-1935). 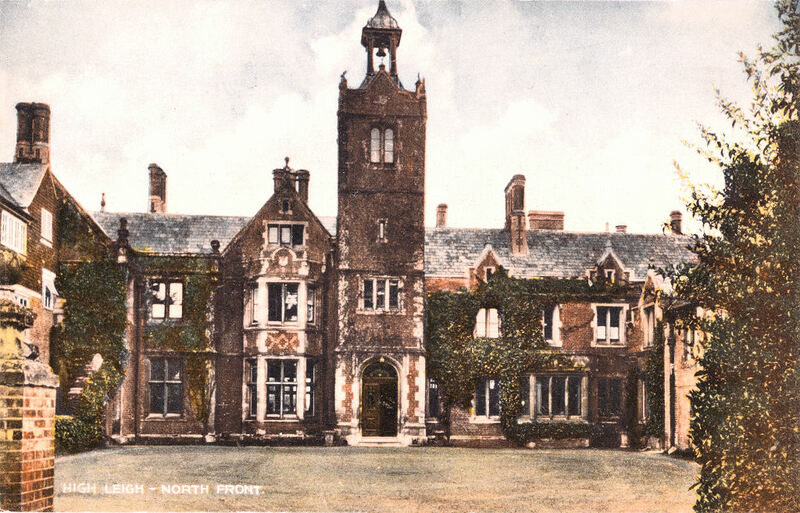 After his death, Brent Pelham passed to his fourth son, Edward Exton Barclay (1860-1948) and his trustees bought the Hanworth Hall estate in Norfolk for his third son, Henry Albert Barclay (1858-1947). Herne's Close was left to his unmarried daughter, Margaret Jane Barclay (1861-1958), and the Knotts Green house, which was increasingly surrounded by the encroaching suburbs of London, became a college for medical missionaries. In the next generation, Robert Barclay (1843-1921) of High Leigh also inherited the Higham estate. He left the Quakers and joined the Church of England, in which he became a leading lay figure. 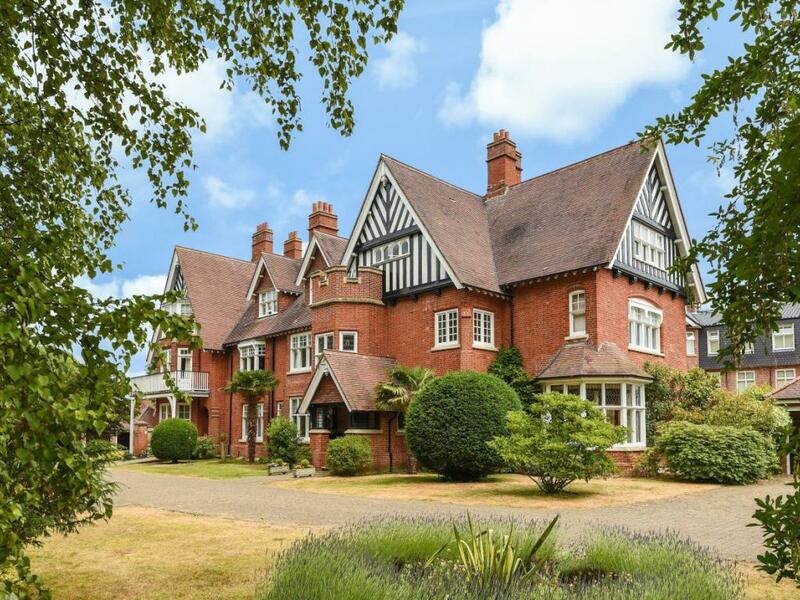 He left his properties to his son, Robert Leatham Barclay (1869-1939), who shared his religious and philanthropic interests, and who gave High Leigh to a company he had established to own and manage Christian conference centres. He lived from 1906 at Gaston House, Little Hallingbury (Essex), a more modest five bay, three storey Georgian house, which his widow retained until 1949, when she sold it. The Higham estate passed in 1939 to his nephew, Theodore David Barclay (1906-81), who was a director of the family bank until 1977. 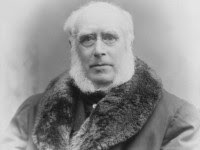 His son, David William Barclay (b. 1942) is the current owner of the Higham estate. Joseph's third son, Henry Albert Barclay (1858-1947) lived at Bletchingley (Surrey) until in 1900 his father's trustees bought him the Hanworth Hall estate in Norfolk. Like several of his brothers, he abandoned the Society of Friends for the Church of England and once established in Norfolk in 1900 he threw himself enthusiastically into a career in the volunteer movement, raising a regiment and commanding it until 1913. When he died in 1947, Hanworth passed to his grandson, Maj. Michael Barclay (1913-2002), and it remains the property of his son, Mr. M.H. Barclay (b. 1938). 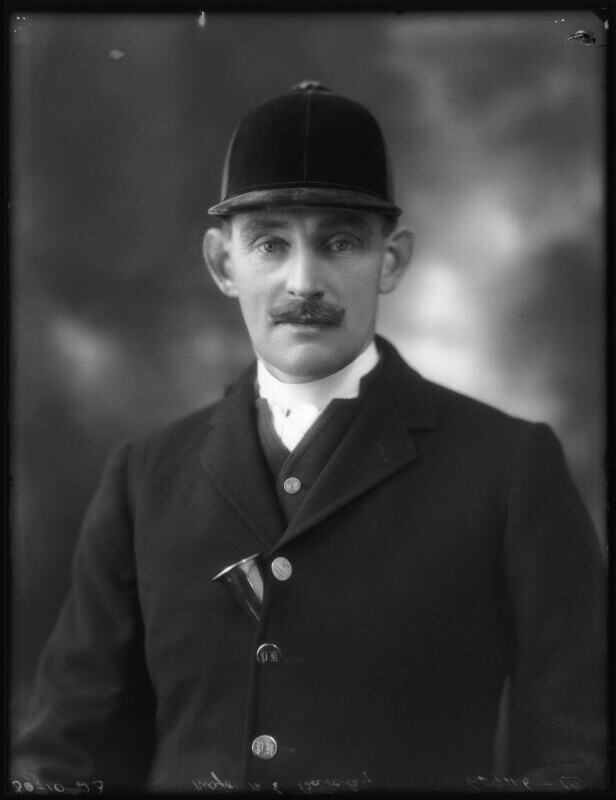 Joseph's fourth son, Edward Exton Barclay (1860-1948), inherited the Brent Pelham estate from his father in 1898. Although he was briefly a partner in the family bank, he retired, like his father, when the bank became a limited company in 1896, and his increased leisure enabled him to devote his whole time to hunting. He was successively Master of the North Norfolk Harriers and the Puckeridge Foxhounds continuously from 1878 until his death in 1948, which may be some sort of record, and his passion for hunting was communicated so effectively to his successors that his son, grandson and great-grandchildren have held the Mastership or joint mastership of the Puckeridge continuously since 1896. The Brent Pelham estate descended to his son, Maj. Maurice Edward Barclay (1886-1962) and grandson, Capt. 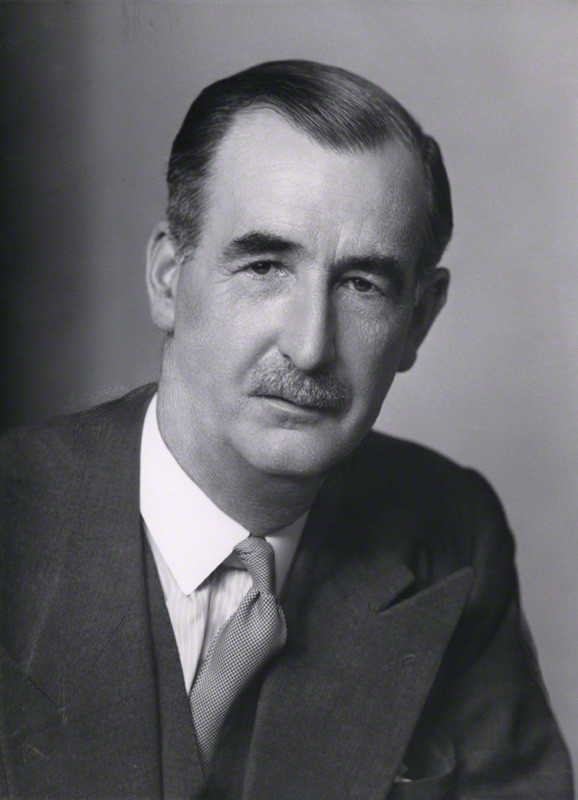 Charles Barclay (1919-2002), but after the latter's death his children sold the house and a small acreage while retaining the bulk of the estate. One other branch of the family needs to be explored. Ford Barclay (1795-1859) was a younger son of Robert Barclay (1758-1816), who became a stockbroker rather than entering the family bank. He lived at Tooting (Surrey) and later at Walthamstow (Essex), although his houses have not been identified with certainty. His son, Henry Ford Barclay (1826-91) lived at, and perhaps built, a subtantial mid 19th century house at Woodford (Essex) called Monkhams. This seems to have been sold after his death and was given a remarkably ornate late Victorian interior by the next owner, Arnold Hills, who founded West Ham Football Club. 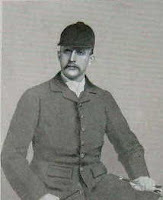 H.F. Barclay's eldest son, Henry Gurney Barclay (1851-1936), who became vice-chairman of Barclays Bank, rented Colney Hall near Norwich from 1887, and in 1900 bought the freehold. His passion was for ornithology, and he rented the Farne Islands to protect the wild birds there at a time when they were under threat from egg collectors and others. He was succeeded at Colney Hall by his son, Capt. Evelyn Hugh Barclay (1886-1956), but after his death his widow sold the estate, and the house was greatly reduced and remodelled. H.F. Barclay's fifth son, Charles Theodore Barclay (1867-1921), who was a stockbroker and company director, leased Fanshaws near Hertford from 1909, and the lease was continued by his son, Christopher Gurney Barclay (1897-1962), but given up in 1963 after his death. It is remarkable that a family which for two hundred years controlled such a powerful wealth-generating machine as Barclays Bank, should not have been more successful in sustaining a country house lifestyle through the troubled 20th century. Of all the houses recorded in this article, only Hanworth remains in family possession, although the Higham and Brent Pelham estates are also Barclay owned. The reasons for the family's pattern of acquisition and disposal must be complex, but relevant factors would seem to be the close attention to business of some members of the family and the philanthropy of others who had a strong social and religious conscience. The family offers scope for a fascinating case-study of the relationship between the elite and the country house for anyone who could gain access to the relevant archives and who can study the topic in more depth than is possible here. Youngsbury was the manor house of the manor of Youngs in the parish of Standon, which took its name from a family that owned the lands in the 13th and 14th centuries. The predecessor of the present house is thought to have stood on a site some 300 yards further east, but it seems unlikely to have been much more than a farmhouse as it was not mentioned in Chauncy's History of Hertfordshire (1700). In the early 18th century the estate belonged to John Bird (d. 1732), who left as his co-heiresses his four nieces, Jane, Elizabeth, Martha and Abigail. In 1740, Jane Bird bought out the shares of Elizabeth and Martha, and after she was married in 1744 to David Poole (d. 1762), a lawyer who rose in his profession to be King's Serjeant, he bought the last share from the heirs of Abigail. 1745 was therefore both the year in which the estate was reassembled and also the year (according to an inscription 'DP 1745' cut into the string course of the house and confirmed by Clutterbuck, the county historian) in which the present house was built. In 1771, when the indefatigable agronomist Arthur Young visited the place, he recorded that the house was 'built by Mr. Paine', that is James Paine, who was by then one of the country's leading architects. The attribution to Paine is stylistically very plausible. Although it is perhaps not quite true that 'no other English architect practising in 1745 designed houses whose entire width was spanned by a pediment' as Richard Hewlings has asserted, there were certainly none for whom it became such a design staple as James Paine, as he designed six, chiefly in the 1750s, when his country house practice was at its height. Against this stylistic evidence, however, is the supposed date of 1745. If the house is so early, it would be one of Paine's first independent works, and it is necessary to explain how Paine might have come by the commission. The answer may be that David Poole came from Pontefract (Yorks WR), just five miles from Nostell Priory where Paine was working as clerk of works and site architect from 1737 onwards. Such a geographical link would clearly allow the two men to have met early in a number of ways, and makes it less remarkable that Youngsbury should have been one of Paine's earliest commissions. Another possibility is that, since incised dates sometimes refer to ownership rather than building, the assumed date of Youngsbury is too early, and that it actually belongs to the 1750s, when Paine's other houses of a similar form were being constructed. 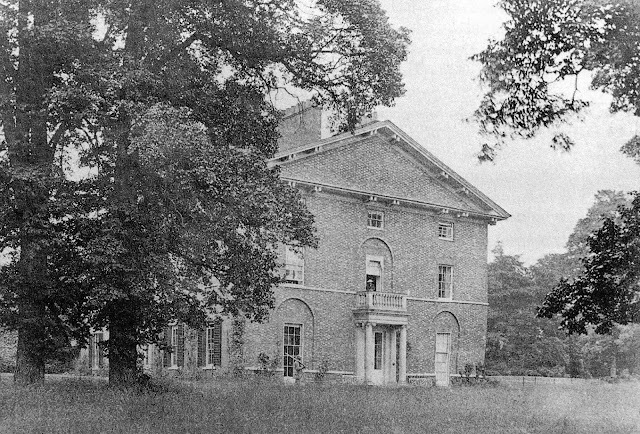 Youngsbury: the front of the house in c.1876. The house that was built by Paine was strikingly neo-classical in style, and also remarkably small, since originally only two bays lay behind the three bay two-and-a-half storey south elevation, with its deeply projecting pedimental gable carried on prominent paired brackets across the whole width of the front. The shallow depth of the house as first built is shown by a straight joint in the brickwork of the east front and a corresponding change in the colour of the brickwork on the west front, and is confirmed by the footprint of the house shown on a landscaping plan by Capability Brown (below). Apart from its pediment, the house was severely plain, with widely-spaced windows, and just a single stone sill band and shallow blind arches around the central first-floor window and the flanking ground-floor windows to relieve the severity. Youngsbury: Capability Brown's undated plan for landscaping the grounds. Image: Hertfordshire Archives & Local Studies A2845. At some point in the 1750s or 1760s, Capability Brown was commissioned to make proposals for landscaping the grounds of Youngsbury. His plan, which happily survives, does not name his client, but is annotated "Plan proposed by Lancelot Brown for the Improvement of Youngsbury after remarking that Nature had do[ne] so much that little was wanting, but enlarging the River". Elements of this scheme seem from the evidence of a survey plan of 1768 by Samuel Driver to have been carried out by the time Jane Poole and her son sold Youngsbury in that year to David Barclay (1729-1809), but Barclay's memorandum book, begun in 1769, records that it was he who carried out Brown's principal recommendation to make a lake in the grounds, and this is confirmed by Arthur Young. Although we cannot be certain, therefore, it seems possible that landscaping work began in the 1750s or early 1760s alongside or soon after the completion of the house, and that it was suspended - maybe when David Poole died - only to be resumed by the new owner in 1769-70. Brown himself may not have been involved beyond producing the original plan, and the fact that the 1768 survey was made by Samuel Driver is intriguing, since Driver combined the roles of surveyor, architect, landscaper and nurseryman, and would have been an excellent person for the Pooles to engage to carry Brown's ideas into effect. 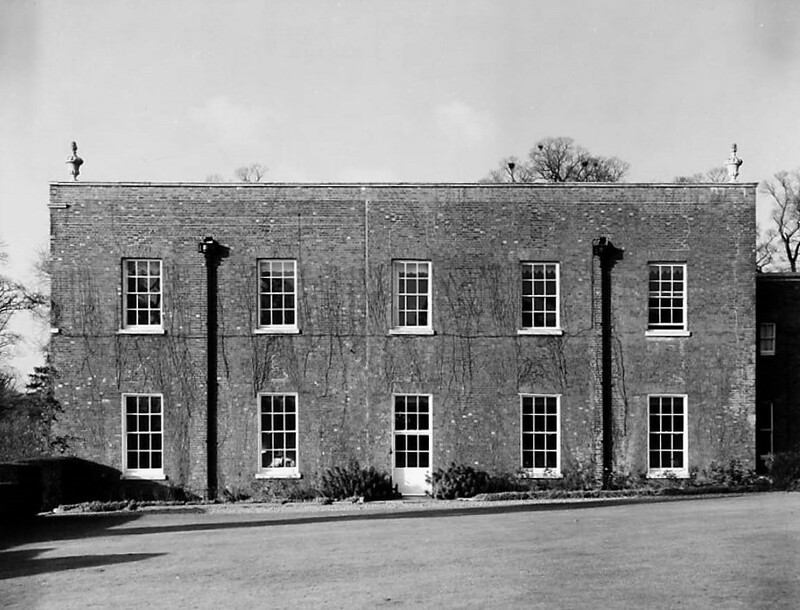 Youngsbury: the east front in 1972, showing the straight joint in the brickwork that marks the division between the original building and David Barclay's extension of c.1770. Image: Historic England. David Barclay (1729-1809) was a linen merchant and banker who became extremely rich, but he was also a Quaker of the strongest moral and social principles. According to Clutterbuck, he 'very much improved and increased the mansion and estate', and a comparison of estate plans of 1768 and 1793 shows that it was he who enlarged the house and built the adjoining stables and brewhouse. The enlargement increased the depth of the house from two to five bays, and must have involved the replanning of the interior. The creation of a central top-lit staircase probably dated from his time, although it has been replaced at least once and probably twice since. No architect is recorded for these works, but the severity of the completely plain exteriors is perhaps accounted for by Barclay's Quaker principles (which led him to insist his family adhered to plain Quaker dress even when King George III and his family visited his London house in 1761). The attractive stable block is actually slightly more ornamental than the addition to the house, with its pedimented centre crowned by a tall cupola and a turret clock of 1770 by Charles Penton set into the pediment. Youngsbury in c.1889, showing the enlarged window, incongruous porch and single-storey addition. The Rev. 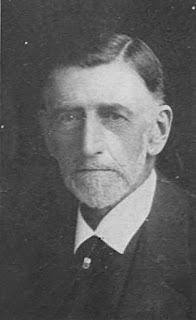 Charles Giles-Puller (1834-c.1910), who was vicar of nearby Standon, inherited Youngsbury in 1885 and remodelled the house two years later. He built a gargantuan portico the whole height of the house on the NW side, thereby re-orientating the entrance front and upsetting the Georgian logic of the interior floor plan. It is thought that the central top-lit staircase may also have been altered or replaced at this time. The ground floor windows were enlarged and fitted with plate-glass sashes, and the original modest Ionic porch on the south-west front was replaced with a rather thin-looking three bay porch with open arches. These changes seriously disturbed the symmetry and elegance of the original house, but much worse was to come. In about 1948 the house was bought or leased by Robert Cecil Byng (1904-84), who in 1951 succeeded his uncle as 7th Earl of Strafford. Either he or his successor, Commander Godfrey Wigram Arkwright (who had just sold the site of Harlow new town to the Government) decided to reduce the size of the house by the drastic expedient of removing the top floor and the pitched temple roof of the property, and adapting the portico on the west side into a single-storey extension. The house was given a flat roof, which a few years later was made slightly less abrupt by the addition of a new parapet with urns at the corners. Youngsbury in 2012: the south and east fronts of the house after the removal of the pediment and top floor. Youngsbury: the staircase from Chiswick House imported as part of the reconstruction of the house after 1948. The change necessitated some other alterations, including the rebuilding of the staircase under a new rooflight. The existing - probably Victorian - stair was taken out and replaced by one from Chiswick House (Middx), probably from one of the wings added by John White for the 5th Duke of Devonshire in 1788-94, which were demolished in 1956. This staircase is now the principal feature of interest in the interior of the house, although other rooms have a varied selection of fireplaces of different dates, and there are simple doorcases and plaster friezes in the main rooms. In the 1970s, the setting of the house was adversely affected by Dutch Elm disease, which removed many of Brown's mature trees, and by the planning of the A10 bypass through the park (finally opened in 2004), although some care was taken to minimise the impact of this and to route it as far as possible from the house. Nonetheless, Youngsbury today is a shadow of the house it once was, and is therefore very exciting that there are currently proposals by Cowper Griffiths Architects to restore the house to its late 18th century form, reconstructing the upper floor and the pedimental gables to their original profiles, and removing the scrappy and inappropriate 19th and 20th century additions. It is very much to be hoped that permission will be given to the present owners to realise this scheme. Descent: John Bird (d. 1732); to nieces, of whom Jane bought out her co-heirs and married David Poole (d. 1762); sold 1768 to David Barclay (1729-1809); sold 1793 to William Cunliffe Shaw; sold 1796 to David Giles (d. 1800), Governor of the Bank of England; to son, David Giles (d. 1831); to nephew, Benjamin Giles King (d. 1840); to sister, Louisa (1772-1857), widow of Sir Christopher Puller (1774-1824), kt. ; to son, Christopher William Puller (later Giles-Puller) (1807-64); to son, Arthur Giles Giles-Puller (1833-85); to brother, Rev. Charles Giles-Puller (1834-92); to widow, Emmeline Giles-Puller (d. c.1903); to son, Christopher Bernard Giles-Puller (1875-1933); to brother, Francis Charles Giles-Puller (1877-1957), who perhaps sold the estate 1946 to F.W. Parrish and house c.1948 to Robert Cecil Byng (1904-84), 7th Earl of Strafford (alternatively Byng may have been a tenant); sold c.1953 to Cmdr. Godfrey Wigram Arkwright (1901-54); to son, John Loftus Henry Arkwright (1931-2017), who sold 1958 to John Ormiston Fitzgerald; sold 1969 to The Hon. Charles Anthony Savile (1934-2018); sold 2013 to Jeremy Langmead & Simon Rayner; sold 2017 to Mr & Mrs James Pearce. The estate probably originated in a small freehold property 'at Diggons Cross' first mentioned in 1537-38. The first house at Diggons Cross of which anything is known was assessed at 11 hearths in 1662, and at 12 in 1670 and 1674. By 1786, this house had some years since been pulled down and replaced by a 'capital modern built house', presumably built by Charles Jackson. The new house was a plain two-storey building of yellow brick with a mansard slate roof. From a brick dated 1791 it appears that Gilbert Slater built the bow-windowed extensions on each side. In contrast to the plain exterior the interior was elaborately decorated, possibly by Slater. The entrance hall had moulded plaster panels, and other rooms were enriched by plaques, mouldings, and Adam-style ceilings, and by mahogany and satinwood doors. The first-floor landing had an open-columned screen, and open, oval balustraded gallery. Slater, a keen gardener, planted the grounds with rare items collected from China, the East Indies, and America. Robert Barclay added an east wing to the house after 1821, and from then on the house was alternatively known as Barclay House. An astronomical observatory was built in the grounds for Joseph Gurney Barclay in 1854. Knotts Green House: the house in the late 19th century. The estate was sold for development after the death of Joseph Gurney Barclay in 1898. The house itself became a training college for medical missionaries (Livingstone College). 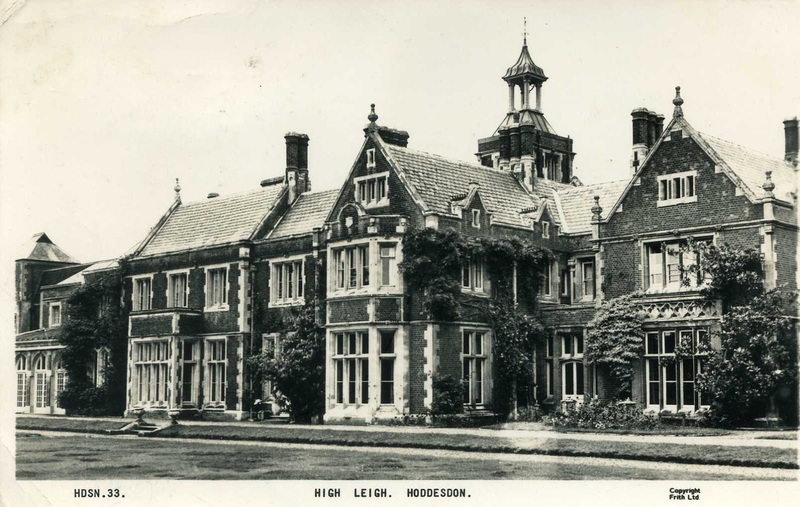 The house was requisitioned for military use during the Second World War and, although the college reopened, it soon moved to Reigate and the house stood empty until 1951. It was then bought by the local council, which built a block of flats (since demolished) in the garden and leased the house itself as offices until it was demolished in 1961. Descent: William Johnson (d. 1631); to son, Thomas Johnson; sold 1649 to Thomas Hopkins; to widow, Sarah Hopkins (fl. 1670-74); to daughter Alice, wife of Sir Thomas Lee, who sold 1698 to Peter Cartwright... Richard Burbidge sold 1786 to Charles Jackson (who had leased it since 1768); to daughter Elizabeth, wife of Gilbert Slater (d. 1793); to son, James Slater, who sold 1815 to John McTaggart (he and his father (d. 1810) had been the lessees since 1798); sold 1821 to Robert Barclay (1787-1853); to son, Joseph Gurney Barclay (1816-98); estate sold for development and house given 1900 to Livingstone College for Missionaries, which moved 1947; sold 1951 to Leyton Borough Council and leased as offices until demolished 1961. The house was leased to a Mr Johnson in 1755 and he was succeeded by George Stow, who was the tenant until Charles Jackson came in in 1768. 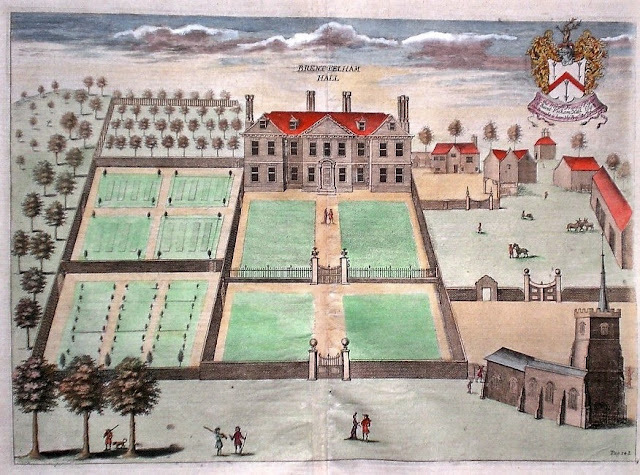 There was a mansion house belonging to William Brooke at Brent Pelham in 1556, which was subsequently sold to Lord Morley. It was large and grand enough for him to put up Queen Elizabeth for two nights in 1571, but nothing seems to remain of this building. The present two-storey house is apparently early 17th century in origin (the VCH in 1914 recorded a timber lintel in the garden dated 1608, which may be indicative of the date) and was built for Edward Newport, who bought the estate in 1597 and 'built a slight but well contrived house in this manor'. The original building may have been timber framed, but had brick chimneystacks. Those at either end of the house which have clusters of octagonal shafts appear to have survived subsequent alterations (although it has recently been suggested that they may be early 19th century replacements). 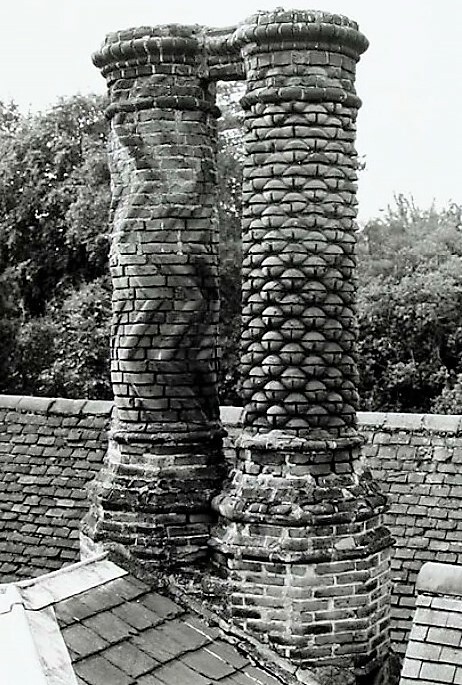 The hall chimneys are of more elaborately carved brickwork and may form part of the mid 17th century changes made by Francis Floyer senior who 'adorned this House... furnisht it with all things, that nothing was wanting to make it pleasant and delightful' according to Chauncy. If the house was originally timber-framed, it was encased in brick towards the end of the 17th century, when it was given a fine nine bay red brick south-west front with a red tiled roof and a wooden modillion eaves cornice. This was presumably done for Francis Floyer (d. 1722) after he inherited in 1678. The two bays at either end of his new front project slightly as wings with hipped gables, and the central three bays break forward even more shallowly under a pediment containing a blocked oval lunette. The windows are excellently proportioned double hung sashes with glazing bars, and the two floors are divided by a plain brickwork band. The central doorcase (at one time obscured by a porch of c.1900 with a broken pediment) has Ionic pilasters to either side supporting a modillioned cornice. Drapentier's view of the house in 1698 shows it in very much the same form as today, although it has lost its dormer windows at some point. 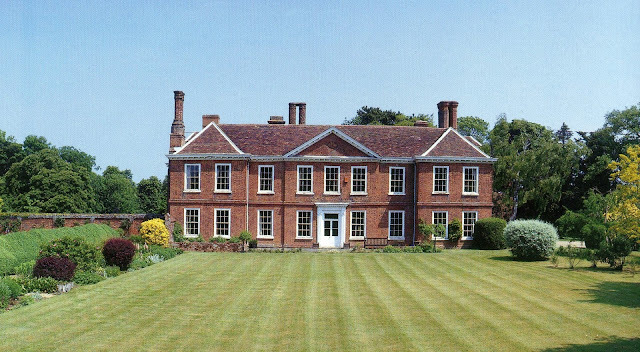 Brent Pelham Hall: the main front in 2003, before the creation of the modern garden. The plan was originally L-shaped, with a cross-wing projecting to the north from the eastern end of the main block. This is also encased in brick, and bears evidence in the form of blocked windows of various dates of much change over the years; it also has a later porch attached to the centre of the ground floor. In the late 19th or early 20th century a four-bay two-storey balancing wing was built at the western end of the main range. This has the same modillion cornice and hipped roofs as the main range, but simpler chimneys. The interior of the house is essentially of three phases: the original early 17th century decoration; the changes made when the house was encased and modernised in the late 17th century, and the antiquarian-inspired alterations begun in 1896, when all evidence of post-17th century changes to the interior was stripped out. After 1900, a number of chimneypieces and a great deal of panelling was imported from another large house in the parish called Beeches, which had been acquired by E.E. Barclay. Brent Pelham Hall: former entrance hall, with panelling and overmantel of the early 17th century. Image: Historic England. The original entrance hall, which occupies the five bays between the wings on the south-west front, is the best-preserved early 17th century room. It has a stone fireplace with moulded four-centred arch and an early 17th century oak overmantel with two broad arched panels between the framing pilasters which look as though they have lost inset paintings or decoration. The panelling in the hall and drawing room is of the same date, but the dining room at the north end of the house has later 17th century fielded panelling and a stone fireplace bearing the Floyer arms which might be a mid-17th century introduction by the elder Francis Floyer. A staircase was built in the angle between the hall block and the south wing as part of the late 17th century alterations, but the present staircase seems to date from c.1900, although it is rather convincingly in late 17th century style. It has three elaborately turned and twisted balusters on each step, richly carved tread-ends, and a carved panel set into the balustrade on the first-floor landing depicting the arms of Floyer impaling Boothby. 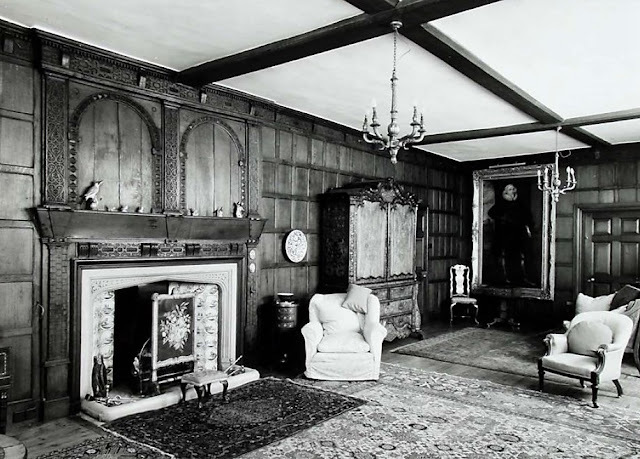 Several other rooms, including the later entrance hall in the south wing, the study and one of the bedrooms have mid 17th-century oak panelling brought from Beeches. After the house was sold in 2003, a further restoration was undertaken for the new owners which appears to have concentrated on reviving the outbuildings and stable court, although no doubt the house has been spruced up too. A new 12-acre formal garden was laid out in c.2010 to the designs of Kim Wilkie, which is occasionally open to the public under the National Gardens Scheme. Descent: Henry Parker, Lord Morley, sold 1597 to Edward Newport; to son, John Floyer, who sold 1626 to Francis Floyer (d. 1678); to grandson, Francis Floyer (d. 1722); to son, Thomas Floyer (d. 1743); to daughter Mary (d. 1773), later wife of Thomas Halden... John Halden (d. 1839); sold after his death to George Hallam of Furneux Pelham; to son, George Walsh Hallam (d. 1859); sold to William Heygate, who sold 1865 to Joseph Gurney Barclay (1816-98); to son, Edward Exton Barclay (1860-1948); to son, Maurice Edward Barclay (1886-1962); to son, Charles Geoffrey Edward Barclay (1919-2002); sold after his death to Michael Carrell (b. 1963), software developer, and his wife Alexandra. There was a farmhouse on this site known as High Grounds in the 18th and early 19th centuries. This was bought in about 1850 by Charles Webb, a wealthy lace maker, who built a neo-Tudor country house on the site to the designs of an unidentified architect in 1853. High Leigh, Hoddesdon: entrance front. The new house was constructed around three sides of a courtyard which was dominated by a tall and rather spindly porch tower in the centre of the middle range. The house was built of brick, and had two storeys with attics and dormers, but the facades to the courtyard were irregular and somewhat wilfully composed. On the garden front the house has a variety of one and two-storey bay windows, which give it a slightly more relaxed air, but it still lacks rhythm and is busy with fussy detail. The house was given its present name after it was acquired by Robert Barclay in 1871, and has been a Christian conference centre since his death in 1921. High Leigh, Hoddesdon: garden front. Image: Charles Hind Postcard Collection. The grounds of High Leigh are perhaps of greater note than the house, for successive 19th century owners ornamented them with the products of the Pulham & Co. factory, which stood only a mile or so away. A plan of 1859 shows what may have been a Pulham fountain, and a description of 1865 clearly describes a rock arch which survives in the grounds. After the sale to Robert Barclay in 1871, arable land was converted to parkland with a lake and bridges across the Spitalbrook, a carriage drive and lodge, and a new rockwork feature south west of the parterre, with a grotto, cave, and cascades. Part of the park was gifted to the people of Hoddesdon as a park in 1935. Descent: built for Charles Webb (d. 1862); sold after his death to Duncan Kay; sold 1871 to Robert Barclay (1843-1921); to son, Robert Leatham Barclay (1869-1939), who gave it to First Conference Estate Ltd., which remains the owner and operates it as High Leigh Conference Centre. The house now known as Colney Old Hall was probably built in the 16th century as the manor house, and it was evidently still the centre of the property in the mid 17th century, when grand, if slightly rustic, Artisan Mannerist gatepiers were erected as a new entrance to the property. A new house - the present Colney Hall - was built on a different site further west in the 18th century. According to Armstrong's History of Norfolk (1781), this was built for Jeremiah Norris, who inherited in 1767, but the three-storey seven by two bay brick house looks a generation earlier than that. The facade was articulated originally only by rusticated pilaster strips defining the three bay centre and the angles on the two main fronts, and the house would be more typical of the 1740s. Colney Hall: garden front shortly before reduction in 1958. Image: Historic England. By the time of the earliest photographs, the house had acquired two storey projecting bays on the garden front, with Venetian windows on the ground floor and tripartite windows above. These late 18th or early 19th century changes were followed by more extensive and less tactful additions made after 1834 for Joseph Scott and around 1900, probably for H.G. Barclay. Colney Hall: garden front and grotto after recent restoration, 2010. Image: Caters News Agency. In 1957 the Barclay family sold the estate to R.G. Lawrence, a local property developer, who made drastic alterations to the house, including the demolition of a large part of the original house. The small fragment that remained was coated in white stucco and given limp and unconvincing neo-Georgian details including a veranda and a pedimental gable above a tripartite window on the garden front. The house was sold for commercial use in 1976 and was in very poor condition by the time it was bought in 1996 by the Boddy family, who restored it. Colney Hall: interior of the orangery, 2010. Image: Caters News Agency. A small park containing landscaped grounds existed around the house by 1834, and probably earlier. The landscaping was augmented after H.G. Barclay acquired the property in 1887. A walled formal sunken garden was laid out by Edward Boardman, and a rose garden enclosed by yew hedges was created. 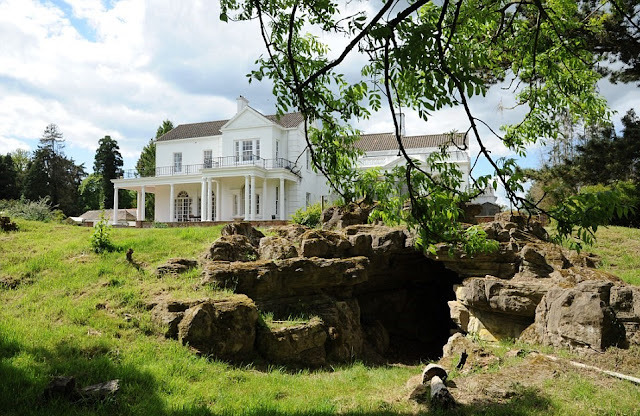 More unusual for its date was the grotto set into the slope below the house, a dark curving tunnel of Pulhamite stonework, which was echoed in the orangery of c.1900 attached to the house, which has splendid tufa rockwork. 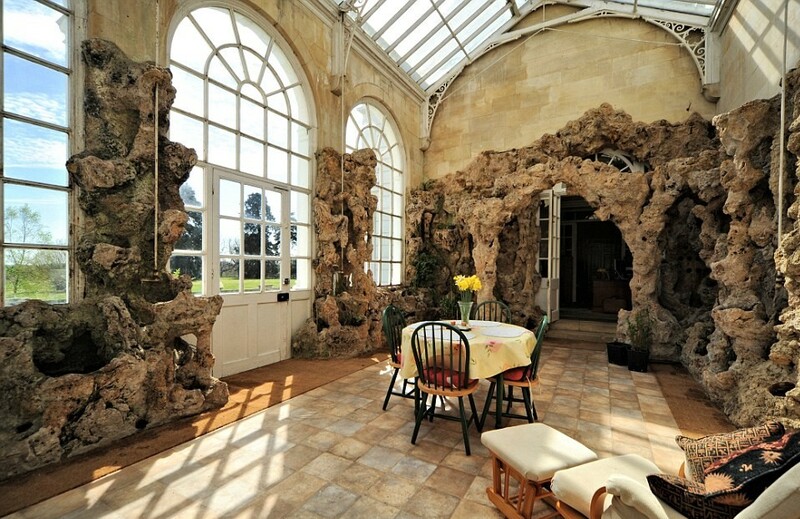 The orangery and grotto happily survive and have, like the house, recently been restored. Descent: built for Jeremiah Norris (fl. 1767-91); sold c.1790 to John Patteson, who let and sold c.1798 to Jehosophat Postle, who sold c.1834 to Joseph Scott (d. 1873); to son, Joseph Scott, who sisters lived at the house; sold 1880 to trustees of John Nigel Gurney, who let it to tenants; from 1887 the tenant was Hugh Gurney Barclay (1851-1936), who bought the freehold in 1900; to son, Capt. Evelyn Hugh Barclay (1886-1956); to widow, Phyllis Barclay (1890-1982), who sold 1957 to Ronald George Lawrence, who reduced and remodelled the house; sold 1976 to Robert & Eileen Harrington; sold 1985 to Mrs Yoko Sugiara Conlan; sold 1996 to Anthony & Sharon Boddy. The manor house of the Doughty family at Hanworth, assessed on 10 hearths in 1662-65, seems to have burned down in the late 17th century. It was rebuilt by Robert Doughty, whose father had augmented the family fortune through trading activities with Barbados but died shortly after returning home in 1673. Robert (d. 1742), who lived well into his 80s, commissioned a plain but finely-built double pile house in the years around 1700, reputedly after a fire had destroyed the previous house. It forms a rectangular block of red brick, two storeys in height and nine bays by four, with a three-bay pediment on the east front and a hipped roof rising behind a plain parapet. The chimneystacks visible on the entrance front are symmetrically disposed, to ensure the perfect symmetry of the facade, but on the west side the fenestration and the dormer windows in the roof are irregular. The entrance doorcase on the east front has brick pilasters under stone Tuscan capitals, and a big bulgy frieze. Between the floors there is a platband, but there are no quoins or architraves to the windows. The windows were perhaps sashes from the start, and preserve their original sash boxes, if not their original glazing. Hanworth Hall: the entrance front and side elevation, c.1910. from an old postcard. The interiors of c.1700 are remarkably well preserved, except in the first-floor drawing room. The front door leads into a large (30x20') entrance hall occupying the middle three bays of the facade, and has doorcases and a fireplace with the same bulgy frieze as the entrance doorcase. North and south of the hall lie the dining room and morning room respectively, finely panelled with dado, chair rail and a simple cornice. 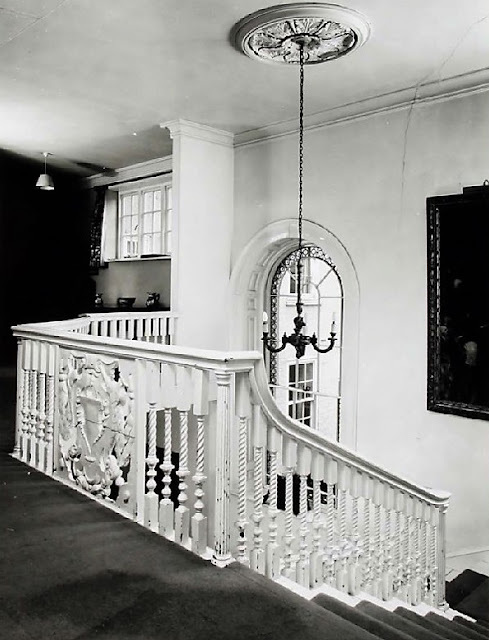 The original and perhaps rather old-fashioned staircase of c.1700 is preserved, and has a broad handrail and a balustrade with a single quite elaborate twisted baluster with a bulbous lower part to each step and a closed string; the large square newels are plainly panelled. 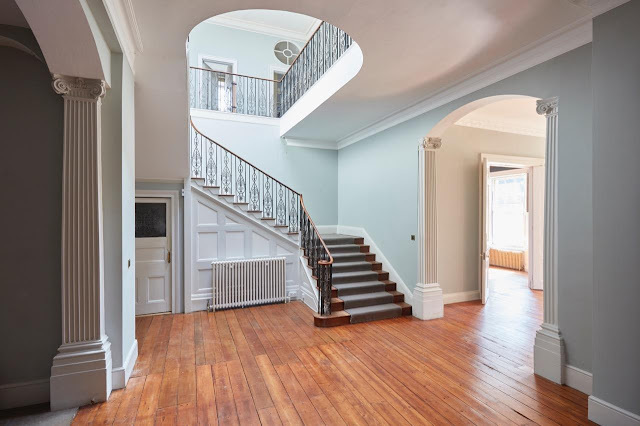 The staircase takes the visitor up to a first-floor drawing room which has the same dimensions and much the same layout as the hall beneath, but which was remodelled in c.1742-43 by the elder Matthew Brettingham (d. 1769) for Robert Doughty (1717-70), the grandson of the builder of the house, to whom it was transferred on his coming of age in 1738. Brettingham must have been responsible for the fine carved wood overmantel with an open pediment enclosing remarkably frilly plasterwork decoration of foliage and fruit, similar to one at nearby Gunton Hall, where he was working at the same time. In 1789-90, Humphry Repton, who lived at Sustead Old Hall in the next village, provided some pro bono advice on landscaping the park at Hanworth to Robert Lee Doughty (1749-1819), and helped him stake out the line of a new approach drive and a walk from the house to the kitchen garden. He also made two watercolours, now in the Colman Collection at Norwich Library, one of which (with his characteristic flap) illustrates his proposal for opening up the view from the east front. He also included an engraving of the house in Peacock's Polite Repository for 1793, when work was probably complete or approaching completion. R.L. Doughty was married but had no children, so on his death he left the estate jointly to two of his nephews, Philip Mayow and Admiral W.F. Lukin (later Windham). The latter also inherited Felbrigg Hall nearby. Windham's share descended to his son, W.H. Windham, who reunited the estate by also purchasing the Mayow share in 1845. It descended to his son, W.F. Windham (known as Mad Windham) who ran up large debts. His widow inherited the house and added a new service wing at the rear in 1881, which cannot have helped with the bills. In the end, the patience of the mortgagees was exhausted and they foreclosed on the estate and sold it to the trustees of Joseph Gurney Barclay (1816-98) for the use of his third son, Henry Albert Barclay (1858-1947), and it remains the property of his descendants. The house and grounds are much as they were in 1900, the only significant later alterations being the enlargement of the lake in about 1900. Descent: Thomas Doughty (b. c.1500)... William Doughty (d. 1653); to son, Robert Doughty (d. 1669); to half-brother, William Doughty (d. 1673); to son, Robert Doughty (c.1656-1742); to grandson, Robert Doughty (1717-57 or 1770); to son, Robert Lee Doughty (1749-1819); to nephews, Philip Wynell-Mayow and Admiral W.F. Lukin (later Windham); to W.H. Windham (who inherited one share from his father and purchased the other in 1845); to son W.F. Windham (d. by 1880); to widow; sold by mortgagees to Joseph Gurney Barclay (1816-98) for his son Henry Albert Barclay (1858-1947); to son, Rev. Humphrey Gordon Barclay (1882-1955); to son, Henry Michael Barclay (1913-2002); to son, Michael Humphrey Barclay (b. 1938). (2.10) Lucy Barclay (1737?-57), said to have been born in 1737; married, 3 June 1756 at Tottenham Monthly Meeting, Robert Barclay (1732-97) of Urie (who m2, 2 December 1776, Sarah Ann, daughter of James Allardice of Allardice and had further issue three sons and five daughters), son of Robert Barclay of Urie, and had issue one daughter; died 23 March and was buried at Winchmore Hill, 29 March 1757. He lived opposite St Mary-le-Bow at 107-108 Cheapside, London, a fine late 17th century house built after the Great Fire of London. It had a first-floor panelled drawing room with a balcony commanding a fine view along Cheapside, from which the royal family are recorded as watching civic processions in 1671, 1689, 1708 and 1761. The house was demolished in 1861 and the panelling is said to have been removed to Gregynog Hall in Wales. In later years David Barclay also had a house at Bush Hill, Edmonton (Middx), which he inherited through his second wife from her grandfather, John Freame, and which he bequeathed to his youngest son, David. He died 18 March and was buried at Winchmore Hill, 23 March 1769; his will was proved 15 April 1769 (wealth at death £100,000). His first wife died 3 December 1720. His second wife died 9 October 1769. (4) Jane Barclay (c.1738-50), born about 1738; died 1 July and was buried at Winchmore Hill, 5 July 1750. He lived at Bush Hill, Edmonton (Middx). He died of tuberculosis in London, 20 February and was buried at Winchmore Hill, 27 February 1766. His widow died in 1769. (1.1) Agatha Barclay (1753-76), born 13 October 1753; married Richard Gurney (who m2, Rachel Hanbury) of Keswick Hall (Norfk), and had issue one son; died 31 May 1776. He lived at Walthamstow (Essex) until 1768, when he bought the Youngsbury (Herts) estate from Jane Poole. He enlarged the house, built the stables and probably completed the landscaping of the site c.1770, but sold Youngsbury again in 1793 when his health began to deteriorate, and moved to the family house at Bush Hill, Edmonton. He seems also to have had a house (perhaps the one he had occupied before 1768) at Walthamstow, where he died in 1809. He died 30 May and was buried at Winchmore Hill, 6 June 1809; his will was proved 19 June 1809. His first wife died 20 April and was buried at Winchmore Hill, 28 April 1763. His second wife died 12 June and was buried at Winchmore Hill, 19 June 1792. (5) Priscilla Lucy Barclay (1774-1820), born 21 December 1774; lived at Brixton (Surrey); married William Hall (1770-1819) and had issue two daughters; buried at St Mary, Lambeth (Surrey), 9 August 1820. He lived at Cambridge Heath, Hackney (Middx). He died 18 December and was buried at Winchmore Hill, 27 December 1787; his will was proved 27 February 1788. His widow died 31 July and was buried at Winchmore Hill, 7 August 1805; her will was proved 7 November 1805. (10) Elizabeth Lucy Barclay (1800-74), born 7 November 1800; married, 31 July 1823 at Friends Meeting House, Westminster (Middx), as his second wife, Henry Birkbeck (1787-1848) of Kings Lynn and Norwich, banker, and had issue four sons and four daughters; died at Keswick (Norfk), 7 December 1874; will proved 20 January 1875 (estate under £250,000). He probably built the substantial five-bay Georgian house at 30 North Side, Clapham Common (Surrey) where he lived after his marriage, and also had a town house in Tavistock Sq., London. His Clapham house was later the home of the architect Sir Charles Barry and became the Hostel of God (now Royal Trinity Hospice) in 1891. He died at Clapham, 25 January, and was buried at Winchmore Hill, 2 February 1816; his will was proved 6 March 1816. His wife died 29 March and was buried at Winchmore Hill, 5 April 1801. (9) Louisa Barclay (1834-47), born 22 February 1834; died young, 4 July 1847. He purchased Knotts Green House in 1820, and acquired the Higham estate through his marriage in 1814. He died 28 October 1853 and was buried at Winchmore Hill; his will was proved 23 November 1853. His wife died 28 August and was buried at Winchmore Hill, 3 September 1835. (2.6) Lt-Col. Francis Hubert Barclay (1869-1935), born 16 September 1869; educated at Trinity Hall, Cambridge (matriculated 1888; BA 1891; MA 1904); served in the First World War with the Bedfordshire Regiment (Lt-Col.; twice mentioned in despatches); lived at The Warren, Cromer and devoted himself to work for the benefit of the town and of Norfolk more generally; formed geological, entomological and archaeological collections which he bequeathed to Norwich Castle Museum; JP for Norfolk; High Sheriff of Norfolk, 1919-20; married, 25 January 1900, Hannah Maud MBE (1872-1931), third daughter of Edward North Buxton, and had issue two sons and three daughters; died 28 January 1935; will proved 4 April 1935 (estate £151,383). He inherited Knotts Green House, Leyton and the Higham estate in Suffolk from his father in 1853. He purchased Brent Pelham Hall in 1865 and his trustees bought Hanworth Hall c.1900. He also had a house at Cromer for summer holidays: initially The Warren and later Herne's Close (now Sutherland House), which he built to the designs of E.J. May in 1886. At his death, his properties were distributed among his surviving children. He died 25 April 1898; his will was proved 15 June 1898 (estate £900,302). His first wife died 10 February 1848. His widow died 25 June 1905; her will was proved 19 August 1905 (estate £22,280). (8) Christina Octavia Barclay (1887-1975), born 23 May 1887; lived at Hildenborough (Kent); died unmarried, 29 September and was buried at Hildenborough (Kent), 3 October 1975; will proved 17 November 1975 (estate £105,085). He inherited Knotts Green House, Leyton and the Higham estate from his father in 1898, but sold the former estate for development and gave the house for use as a college for medical missionaries. He lived at High Leigh, Hoddesdon (Herts) and The Grove, Cromer (Norfk), and also had a house at Tarvie (Perthshire). He died 19 July 1921; his will was proved 16 September 1921 (estate £425,759). His wife died 20 September 1919; administration of her goods was granted to her husband, 29 December 1919 (effects £849). (2.1) Ellen Rhoda Christian (k/a Kisty) Barclay (1925-2017), born 24 November 1925; served in Second World War with WRNS; educated at Somerville College, Oxford (matriculated 1946; BA 1949; MA 1952); lived latterly at Stanford-in-the-Vale (Berks); married, 18 December 1948, Hugh Creighton ARIBA (1919-88), architect and acoustician, son of Rev. 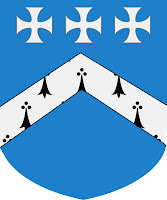 Cuthbert Creighton of Shalbourne (Wilts) and had issue three sons and one daughter; died 16 June 2017; will proved 5 April 2018. He inherited the High Leigh and Higham estates from his father in 1921, but conveyed the former to the First Conference Estate Co. In 1906 he bought Gaston House, Little Hallingbury (Essex), which his widow sold in 1949; she lived latterly at Stanford-in-the-Vale (Berks). He died 22 May 1939; his will was proved 28 July 1939 (estate £224,318). His first wife died 23 August 1918; her will was proved 16 January 1919 (estate £28,592). His widow died aged 91 on 25 October 1972; her will was proved 21 December 1972 (estate £50,064). (4) Robert Christopher Barclay (1916-2009), born 2 July 1916; educated at Canford School, Trinity College, Cambridge (MA, MB, BChir 1942) and St George's Hospital Medical School; surgeon (LRCP 1940; MRCS 1940; FRCS 1946); resident medical officer at Royal Cancer Hospital; registrar at Radcliffe Infirmary, Oxford; consultant thoracic surgeon at Nottingham City Hospital; married 1st, 17 June 1947, Cecilia Lois Jane (1920-88), daughter of Bernard Jessop OBE of 45 Russell Sq., London, and had issue one son and one daughter; married 2nd, 1990, Gwendoline E. (1917-2008), daughter of Herbert Morrish and widow of Gilbert Snowie (1908-89); died aged 92 at Thurgarton (Notts), 2 January 2009. He lived in retirement at Grove Cottage, Cromer (Norfk). He died 17 January 1954 and was buried at Overstrand (Norfk); his will was proved 4 March 1954 (estate £46,087). His widow died 8 March 1957 and was also buried at Overstrand; her will was proved 17 May 1957 (estate £3,088). (3) James Christopher Barclay (b. 1945), born 7 July 1945; educated at Harrow; an officer in King's Royal Hussars, 1964-67; director of Cater Allen Holdings plc, 1981-98 (Chairman, 1985-98), M&G Equity Investment Trust plc, 1996-2011 (Chairman, 1998-2011), Thomas Agnew & Sons, 1998-2013; New Fulcrum Investment Trust plc, 1999-2006; Rathbone Brothers plc, 2003-10 and other companies; Chairman of London Discount Market Assoc., 1988-90; director of UK Debt Management Office, 2000-05; lived at Rivers Hall, Waldringfield (Suffk); married, Apr-Jun 1974, Rolleen Anne (b. 1947), daughter of Lt-Col. Arthur Forbes and had issue one son and one daughter. He inherited the Higham estate in Suffolk from his uncle in 1939 and lived at Severnhill Farm and later Desnage Lodge, Higham. He died 30 October 1981; his will was proved 7 May 1982 (estate £287,939). His widow died 29 September 1996; her will was proved 25 February 1997. (2) Katharine Elizabeth Barclay (b. 1971). He inherited the Higham estate in Suffolk from his father in 1981 and lives at Desnage Lodge. (5) Frederick John Barclay (1839-79), born 31 October 1839; died unmarried, 20 February 1879; administration of his goods granted in turn to his two brothers, May 1879 and May 1889 (effects £3,689). He lived at Tooting (Surrey) and later at Forest Place, Walthamstow. He died 20 March 1859; his will was proved 18 June 1859 (effects under £12,000). His widow died 7 March 1889; her will was proved 23 May 1889 (effects £13,924). (1.11) Marion Alice de Gournay Barclay (1868-1961), born 12 October 1868; married, 2 January 1890 at Woodford, the Hon. and Rt. Hon. Sir Lancelot Douglas Carnegie GCVO KCMG (1861-1933), diplomat, second son of James Carnegie, 9th Earl of Southesk, and had issue one son and two daughters; died 23 August 1961; will proved 6 March 1962 (estate £4,730). He lived at (and perhaps built) Monkhams, Woodford (Essex), which seems to have been sold after his death. He died 12 November 1891; his will was proved 4 January 1892 (effects £319,747). His first wife died 12 February 1888. His widow died 31 July 1930; her will was proved 13 September 1930 (estate £31,040). (8) Rosamund Alice Barclay (1899-1982), born Oct-Dec 1899; married, 1 July 1927, Christopher Robert Birkbeck OBE JP (1889-1973) of Rippon Hall, Norwich, younger son of Henry Birkbeck of Westacre (Norfk), and had issue; died 19 September 1982; will proved 25 January 1983 (estate £69,044). He leased Colney Hall (Norfk) from 1887 and bought the freehold in 1900. He died 9 March 1936 and was buried at Colney; his will was proved 9 July 1936 (estate £513,356). His wife died 22 October 1899. (3) Sonia Barclay (1923-73), born 8 December 1923; married 1st, 2 April 1949, Herbert Alfred Brittain OBE MCh FRCS (1904-54) of Witton House, Norwich, elder son of J.W. Brittain of Kilronan, Donnybrook, Dublin, and had issue one daughter; married 2nd, Oct-Dec 1955, Donald L. Smith, and had further issue one daughter; died 26 December 1973; administration of goods granted 18 April 1974 (estate £25,009). He inherited Colney Hall, Norwich from his father in 1936. His widow lived at Herringfleet Hall nr. Lowestoft (Suffk) in 1965. He died 4 September 1956; his will was proved 14 December 1956 (estate £179,072). His widow died at Glebe House, Somerleyton, 25 December 1982; her will was proved 17 March 1983 (estate £60,370). (5) Theodora Mary Barclay (1906-90), born 20 June 1906; died unmarried, 20 September 1990 and was buried at Bayford (Herts); will proved 11 September 1990 (estate £864,015). After his marriage he lived at Leahoe, Hertford. He leased Fanshaws, Hertford from 1909. He died 30 March 1921; his will was proved 24 May 1921 (estate £124,689). His widow died 2 May 1950; her will was proved 28 July 1950 (estate £7,738). Barclay, Christopher Gurney (1897-1962). Elder son of Charles Theodore Barclay (1867-1921) and his wife Josephine Lister, fifth daughter of Smith Harrison of Elmhurst, South Woodford (Essex), born 6 April 1897. Educated at Eton. 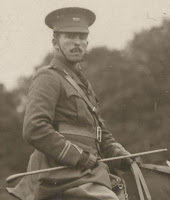 An officer in the Coldstream Guards during the First and Second World Wars (2nd Lt., 1915; Lt., 1916; A/Capt. ; wounded; returned to regiment as Lt., 1939; Capt., 1941; retired as hon. Maj., 1945); awarded MC, 1915. Stockbroker in London from 1920. He married, 16 August 1950, (Frances Mary) Phyllis (b. 1890), daughter of Maj-Gen. Howard Poett and widow of Philip Henry R. Jephson and Ralph Edward Lambton, but had no issue. He continued the lease of Fanshaws, Hertford after his father's death; the lease was given up in 1963. He died 24 June 1962 and was buried at Bayford (Herts); his will was proved 27 July 1962 (estate £205,882). His widow was living in 1965; her date of death has not been traced. (1.1) Katharine Joan Barclay (1884-1980), born 12 August 1884 and baptised at Thorpe St. Andrew (Norfk), 22 July 1895; JP for Hertfordshire (to 1960); married, 12 October 1910 at Brent Pelham, Capt. Edward Charles Dimsdale (1883-1915), son of Sir Charles Robert Southwell Dimsdale, 7th bt., and had issue one son; died aged 95 on 27 January 1980; will proved 11 April 1980 (estate £11,878). (1.3) Maj. Geoffrey William Barclay (1891-1916), born 4 December 1891 and baptised at Thorpe St. Andrew (Norfk), 22 July 1895; educated at Ludgrove School, Eton (where he was Master of the Eton College hunt) and Trinity Hall, Cambridge (where he was Master of Trinity Foot Beagles); an officer in the Rifle Brigade from 1912 (2nd Lt., 1912; severely wounded, mentioned in despatches, and awarded MC, 1915; Maj. commanding 1st battn); unmarried when he was killed in action at Ypres, 28 July 1916; will proved 11 September 1916 (estate £583). He inherited Brent Pelham Hall from his father in 1898. He died 4 March 1948; his will was proved 22 July 1948 (estate £216,513). His first wife died 5 June 1927 and was buried at Brent Pelham. His second wife died 3 May 1929; administration of her goods was granted 13 July 1929 (estate £18,032). (3) William Maurice Barclay (1924-44), born 5 November 1924; educated at Eton and Trinity College, Cambridge; served in Second World War as a midshipman with Royal Naval Volunteer Reserve; died unmarried when his ship, HMS Mahratta, was torpedoed, 25 February 1944; administration of his goods granted to his father, 11 August 1944 (estate £168). 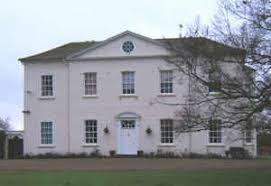 He lived at Beeches Manor (badly damaged by fire in 1935) until he inherited Brent Pelham Hall from his father in 1948. He died 9 November 1962; his will was proved 8 January 1963 (estate £42,847). His widow died 23 August 1969; her will was proved 21 November 1969 (estate £4,519). (1.4) Maurice James Barclay (b. 1959), born 19 August 1959; farmer at Stixwould (Lincs); Master of Essex & Suffolk Hunt, 1983-87; Fitzwilliam (Milton) Hunt, 1987-99; Cottesmore Hunt, 1999-2002; South Wold Hunt 2002-03 and Grove & Rufford Hunt, 2010-12; chairman of This is Hunting UK; author of My Hunting England (2015); married, April 1986, Lucy M.H. Taylor (b. 1962) and had issue two sons. He inherited Brent Pelham Hall from his father in 1962. It was sold following his death, but the estate remains in the possession of the family. He died 5 July 2002; his will was proved 8 April 2003. His first wife died 19 December 1972; her will was proved 21 February 1973 (estate £2,245). His widow was living in 2017. (1.4) Margaret Barclay (1887-1972), born 19 February and baptised at Bletchingley, 20 March 1887; married, 25 August 1938, Lt-Col. Ronald Forbes Meiklejohn DSO (1876-1949), but had no issue; died 1 February 1972; will proved 17 April 1972 (estate £51,871). He lived at Underhills, Bletchingley (Surrey) until his father's trustees bought Hanworth Hall for him in 1900. He died 19 August 1947; his will was proved 15 November 1947 (estate £57,927). His first wife died 4 July 1938. His widow died 30 November 1993 and was buried at Navestock (Essex); her will was proved 15 March 1994 (estate £165,048). (5) Timothy Humphrey Barclay (1923-99), born 18 June 1923; educated at Stowe; served in Second World War in Royal Navy, 1940-46; farmer at Middleton Tower near Kings Lynn (Norfk); Master and Huntsman of West Norfolk Hunt, 1958-after 1962; High Sheriff of Norfolk, 1983-84; director of Fakenham Racecourse, 1991-99; married, 23 June 1947, June (b. 1923), second daughter of Thomas Ramsden of Middleton Tower, Kings Lynn (Norfk), and had issue one son; died 30 November 1999; will proved 28 February 2000. He died 2 October 1955 and was buried at Hanworth; his will was proved 30 January 1956 (estate £22,556). His widow died 13 October 1975; her will was proved 13 August 1976 (estate £20,316). (2.1) Benjamin Barclay (b. & d. 1947), born 18 October 1947; died in infancy, 25 October 1947. 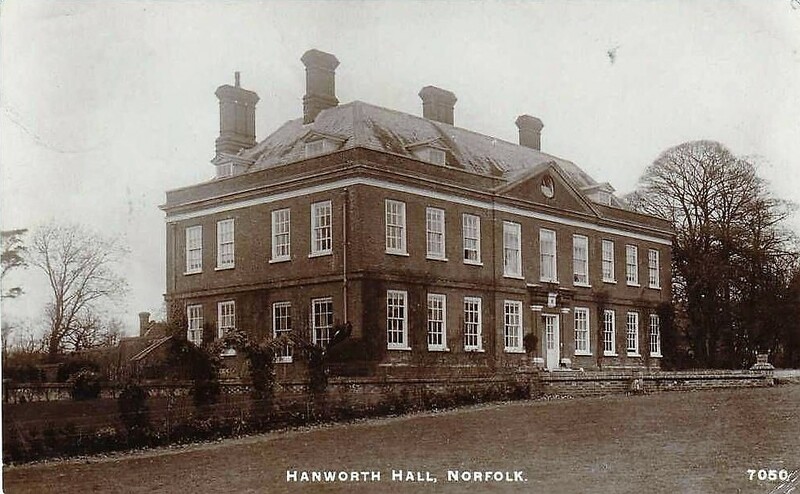 He inherited Hanworth Hall from his grandfather in 1947. He died 8 November 2002; his will was proved 6 March 2003. His first wife subsequently married 2nd, Jul-Sept. 1945, John Pearson and lived in Canada. His second wife married 4th, Maj. Robert Hugh Pardoe (1914-75) and died 15 September 1972; her will was proved 15 May 1973 (estate £11,226). (2) Rupert H.L. Barclay (b. 1965), born August 1965; lived at Meadow Farm, Hanworth. He lived at Home Farm, Somerleyton until he inherited Hanworth Hall from his father in 2002. Burke's Landed Gentry, 1965, pp. 40-43; A. Young, The farmer's tour through the east of England, 1771, vol. 2, p. 241; R. Clutterbuck, The history and antiquities of the county of Hertford, 1827, vol. 3, p. 231; VCH Hertfordshire, vol. 3, 1912, p. 358; vol. 4, 1914, pp. 92-96; VCH Essex, vol. 6, 1973, pp. 184-97 and vol. 8, 1983, pp. 124-31; J.T. Smith, Hertfordshire houses: selective inventory, 1993, pp. 41-43; Sir N. Pevsner & B. Wilson, The buildings of England: Norfolk - Norwich and the north-east, 2nd edn., 1997, p. 538; R. Hewlings, 'Youngsbury', Georgian Group Journal, 1999, pp. 107-15; P.M. Hunneyball, Architecture and image-building in 17th century Hertfordshire, 2004, pp. 106-07, 126-28; H. Leiper, 'Mr Lancelot Brown and his Hertfordshire clients', Hertfordshire Garden History II, 2012, pp. 92-120; S. Bate, R. Savage & T. Williamson (eds), Humphry Repton in Norfolk, 2018, pp. 45-49; K. Feluś, Youngsbury, Hertfordshire: appraisal of the historic designed landscape, 2018; J. Bettley, Sir N. Pevsner & B. Cherry, The buildings of England: Hertfordshire, 3rd edn., 2019, pp. 148-49; 576; https://historicengland.org.uk/listing/the-list/list-entry/1001005. Barclays plc and predecessor companies: records, 1567-21st century [Barclays Group Archives]. 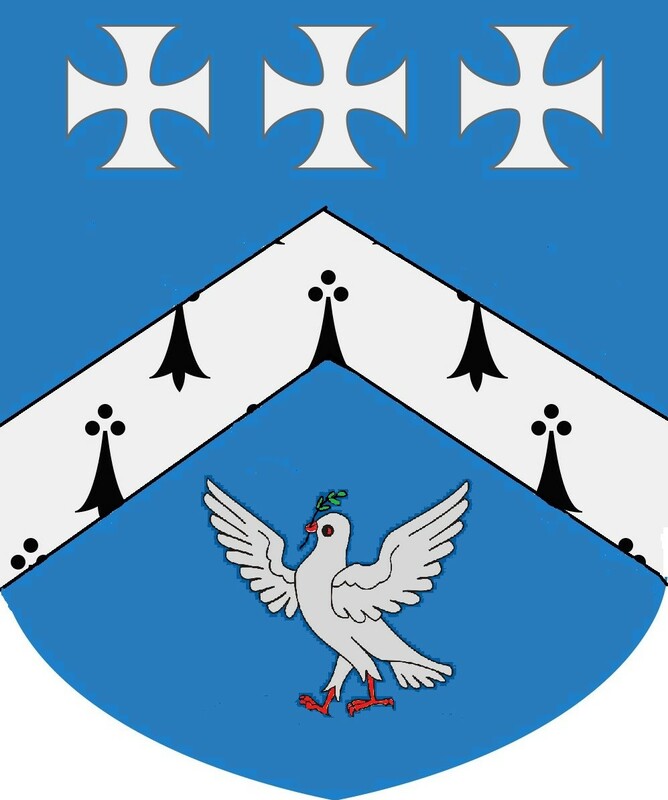 Azure, a chevron ermine between in chief three crosses patée in fesse argent and in base a dove also argent beaked and membered gules and in the beak a sprig of olive proper. Can anyone identify the houses which the family occupied at Bush Hill, Edmonton; Tooting; or Walthamstow in the 18th and 19th centuries, and/or provide illustrations of them? The house at Walthamstow may have been one of a row of properties known as Forest Place. This post was first published 30 March 2019. I am most grateful for the assistance of Dr. Kate Feluś with my account of Youngsbury.